We have a small herd of nanny goats that live in our open yard. Visitors are welcome to go in the yard and say hello to our goats. Please be calm and quiet around our goats as they are due to kid in April. 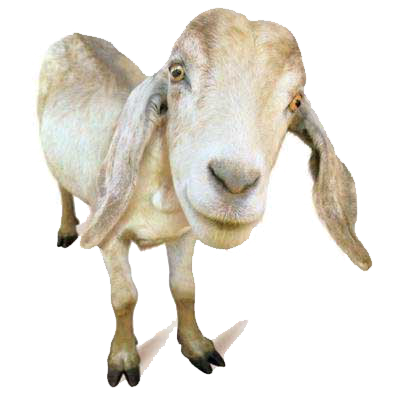 A male goat is called a billy, a female is called a nanny, and baby goats are called kids. Both females and males have horns, but often these have been removed for safety reasons. In bearded breeds, both sexes can also have beards. All the adult goats at Surrey Docks Farm are nannies. We welcomed a billy goat on loan during November and five months later our nannies gave birth! Look out for the playful goat kids that were born throughout April. 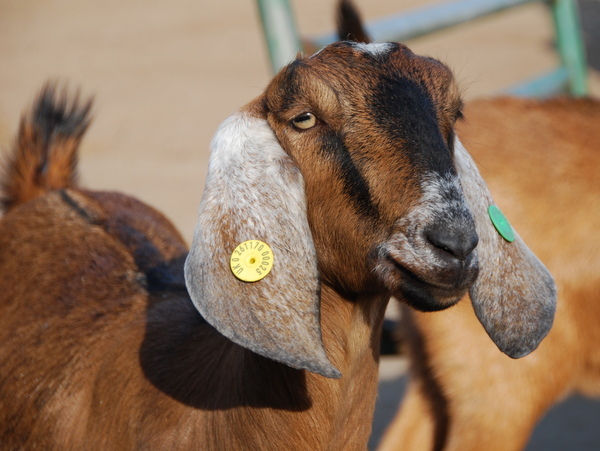 We have two different breeds of goat in our herd: Toggenburgs and Anglo Nubians. It is easy to distinguish between them: the Toggenburgs have small upright ears and a slightly concave facial profile, while the Anglo Nubians have a curved ‘Roman’ nose and long drooping ears. Goats are reared mainly for meat and milk (from which goats cheese is also made) and sometimes also their hides and hair are used. Here at Surrey Docks Farm, they are kept mainly for meat, which is sold in our farm shop when available. 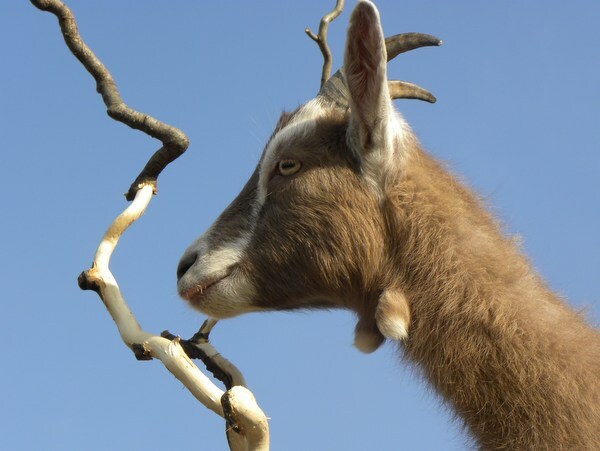 Most importantly however, the goats provide some of the best animal interaction and entertainment!